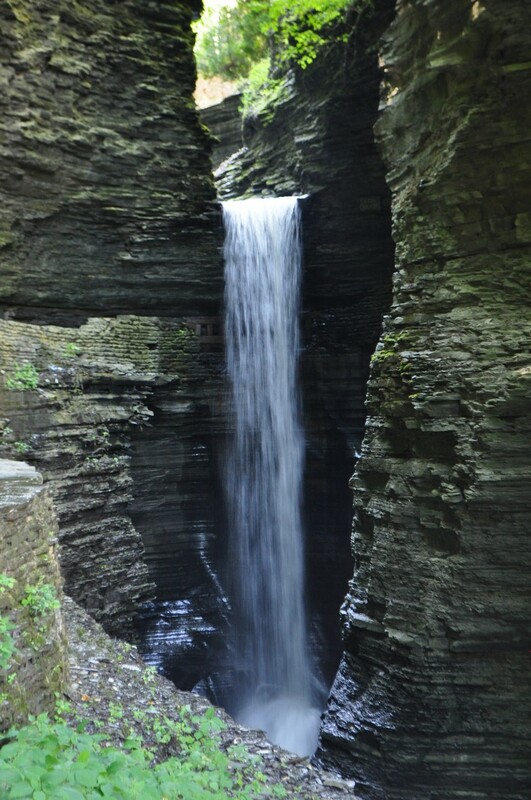 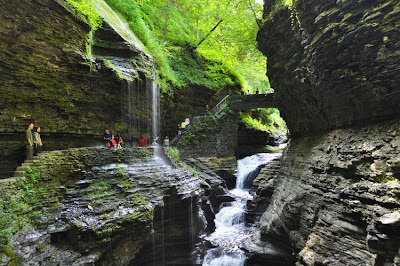 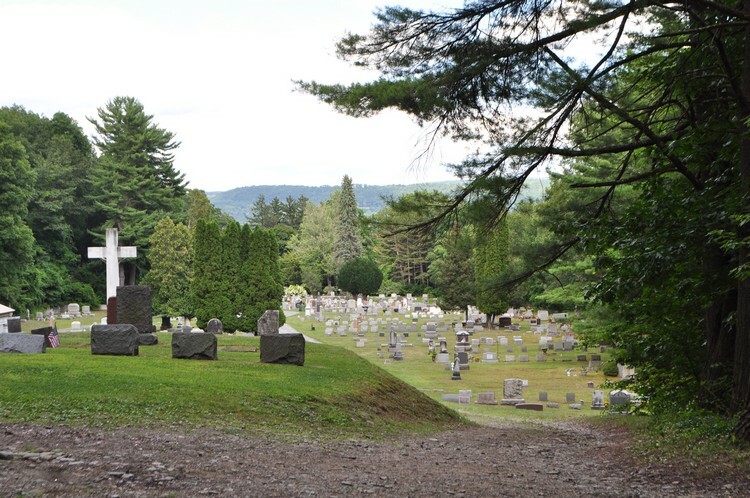 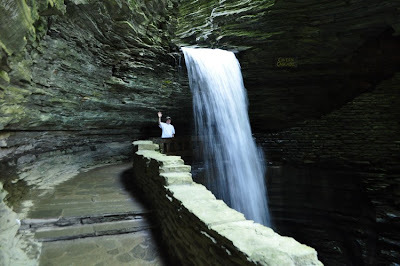 Since we were camping at Watkins Glen, I figured I should do one more hike here. 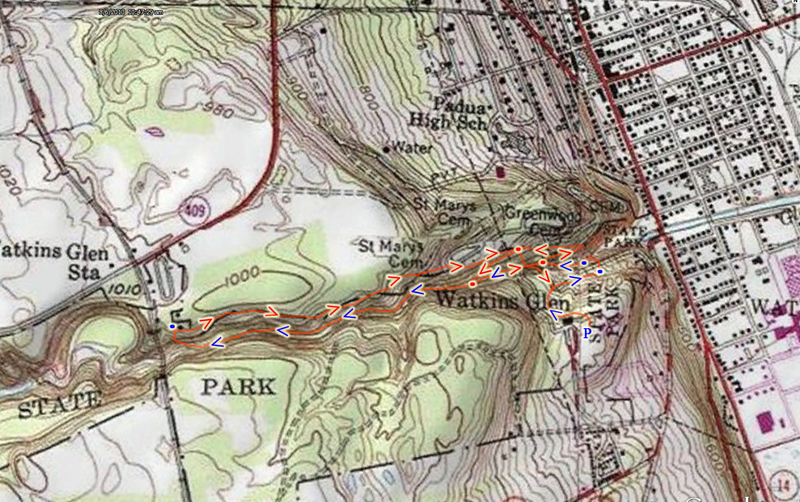 I had some extra time, and took the opportunity to do a quick loop hike in the opposite direction. 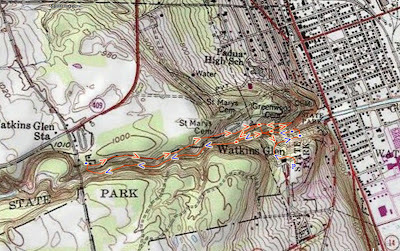 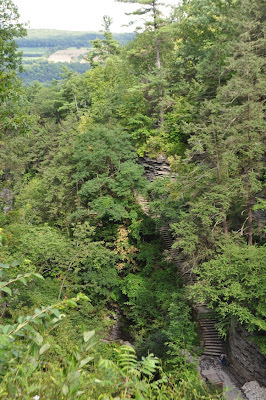 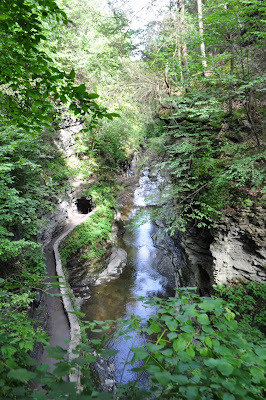 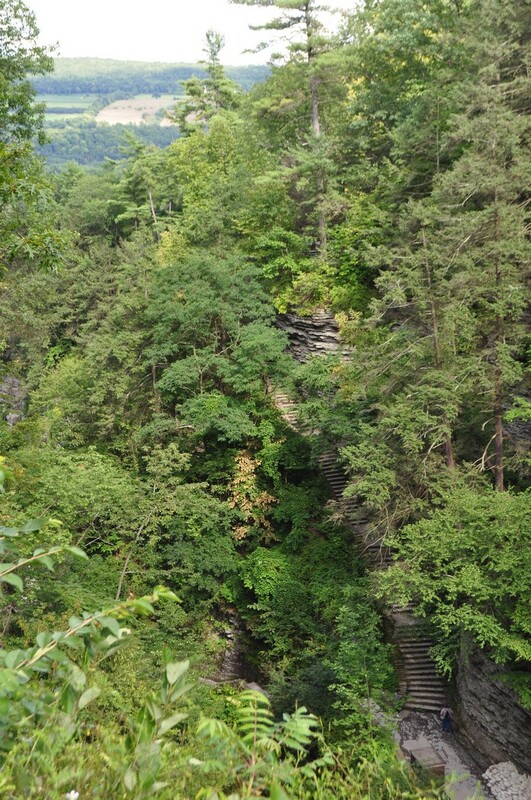 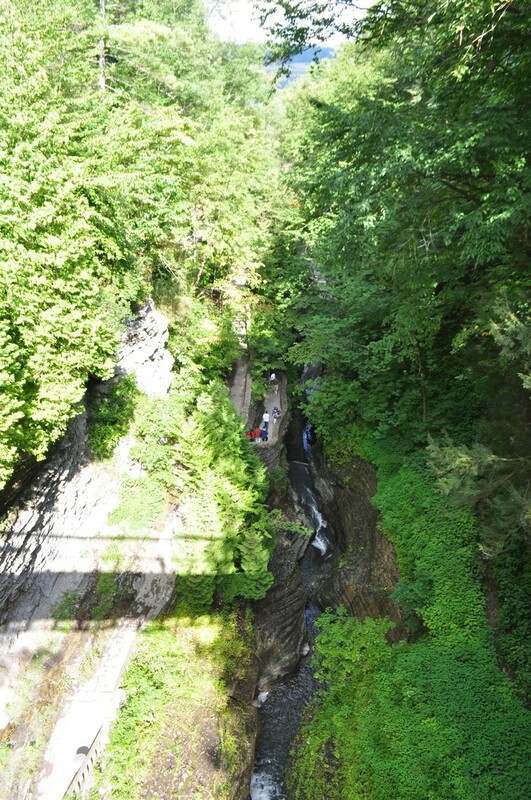 I started at the south entrance area, took the path to the Couch Staircase, which I took down to the Gorge Trail. 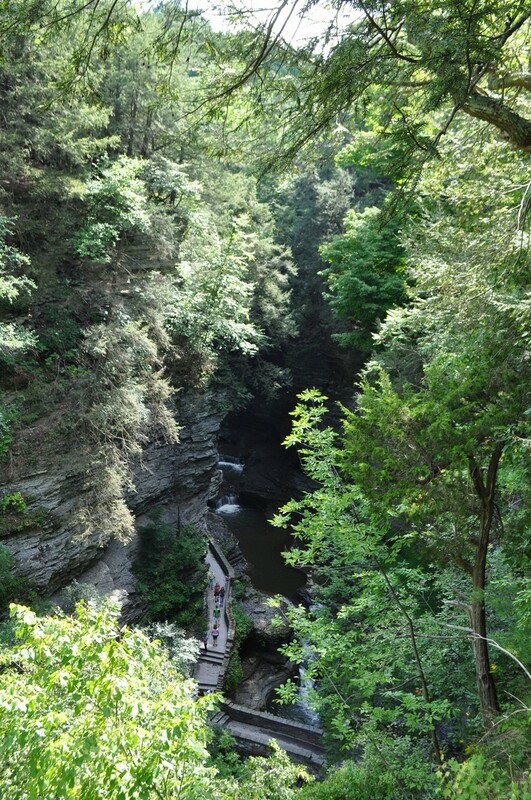 I hiked the length of the Gorge Trail all the way to the end, and then took the Indian Trail above the north rim of the Gorge back down. 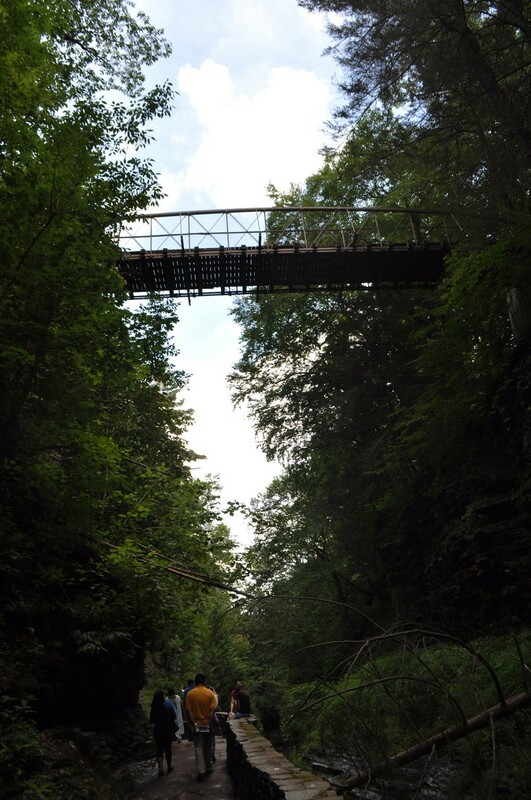 I took it to the suspension bridge, then took Lover's Lane down back to the Gorge under the bridge, and then back up at the Point Lookout. 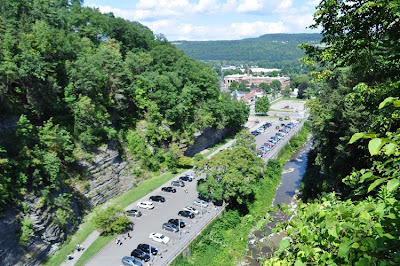 From there I crossed over the Suspension Bridge high atop the Gorge, and headed back through the Lily Pond and up the steps to the parking area. 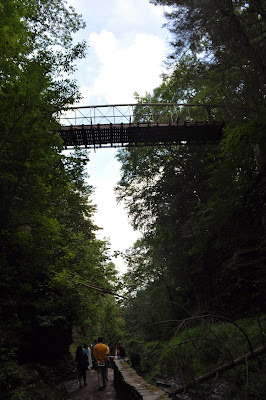 and then go over the Trail on the Bridge as Well. Main Parking Area Near the Village. 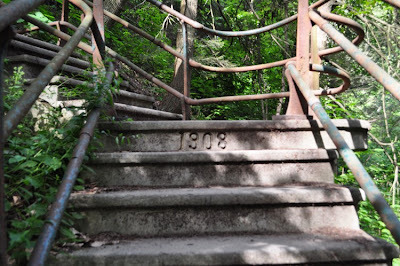 Lover's Lane Spur was Built in 1908!